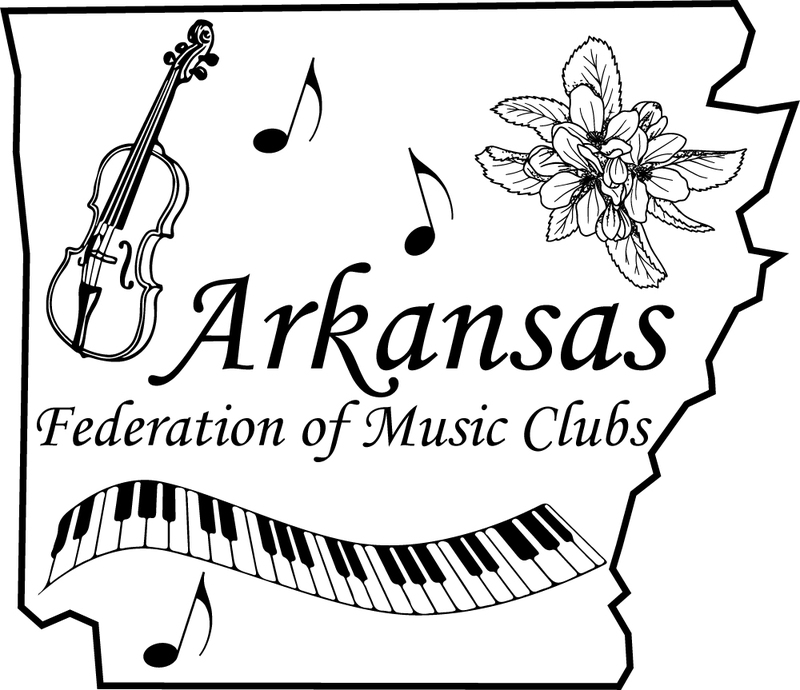 Our AFMC Insignia, designed by Patsy Pryor of the Searcy Beethoven Club, is a visual reminder of the pride we have in our Arkansas Federation of Music Clubs. 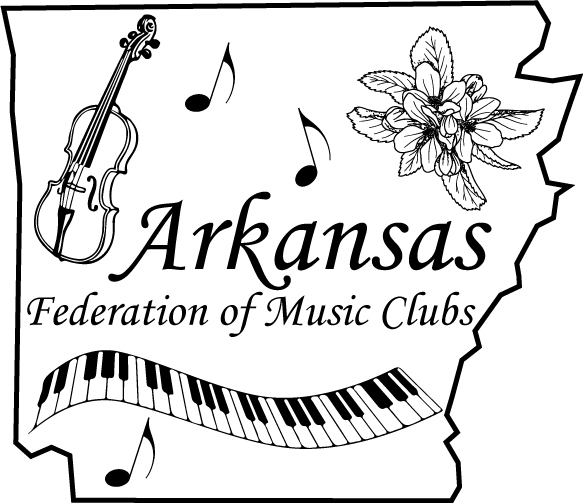 The Fiddle, Arkansas’s official state musical instrument, reminds us of the rich culture and heritage of folk music in the state. 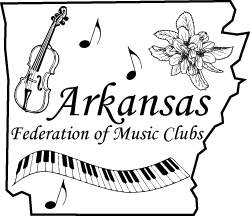 The fiddle’s first association with Arkansas can be traced to the humorous tale and song, The Arkansas Traveler. Most commonly associated with the music of pioneer families, the fiddle plays an important role today in the state’s folk music scene. The Apple Blossom, Arkansas’s official state flower, reminds us of the beauty of The Natural State that surrounds us. From the beautiful apple blossoms in the spring, to the unparalleled colors of autumn, the natural beauty of Arkansas has inspired artists for centuries. The eighth notes and piano keys remind us of our duties as members of the federation, to “bring the spiritualizing force of music to the inner life of our nation.” May this insignia forever remind us.